Promotions and Specials — Florida Mechanical Group, Inc.
3-ton, 13 SEER, Heat pump condensing unit, air handler, and emergency electric heat strips. Posted on September 16, 2014 by Fernando Fernandez. Save on your heating bill this holiday season! 4-ton, 16 SEER, Heat pump condensing unit, air handler, and emergency electric heat strips. R-410a freon, more energy efficient and non-ozone depleting than traditional R-22. Quiet Plus, with sound blanket and swept wing fan blade engineered to reduce unwanted noise. Heat Pump provides more energy efficient heat cycles during the winter. Brushed stainless steel cage protects the unit and is more durable, while looking sleek and stylish. Variable Ultra Tech Compressor with 2 stage cooling and heating. Anteater Coil Technology prevents formicary corrosion in air handler. Energy Efficient Variable Speed Motor is extra quiet and smooth while delivering just the right amount of air to your home. Free upgrade to a Nest Learning thermostat, version 2.0. Industry leading 12 year warrantee. 1 year warrantee on labor. Price is for change out of existing unit with vertical air handler. Posted on November 15, 2012 by Fernando Fernandez. 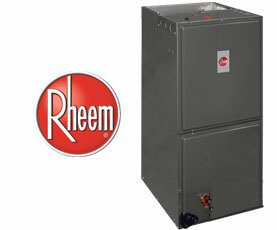 Posted on September 4, 2012 by Fernando Fernandez and tagged Air Conditioner Heat Pump Nest Rheem Sale. Posted on March 8, 2011 by Fernando Fernandez and tagged Commercial Hoods.